Bedecked in the soft and gentle colors of the fog on the sea on a late spring morning, this two-bedroom, two-bath oceanfront condominium is just the place to while away the stresses of real life. 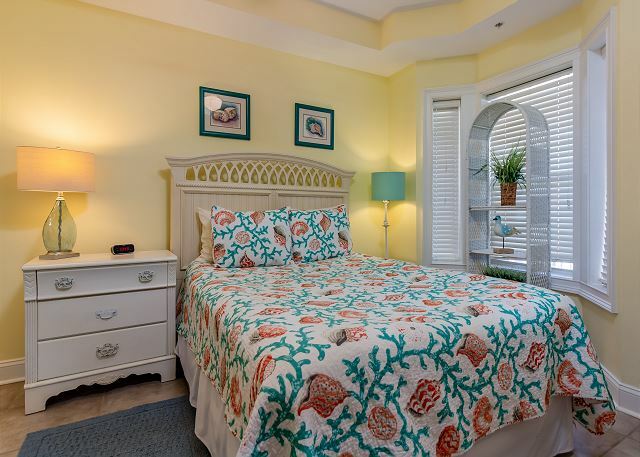 The master bedroom welcomes you with open arms to a comfortable king-sized bed, and the ensuite master bathroom, and private balcony on the ocean will be perfect spots to forget all of your worries. The second bedroom boasts a cozy queen-sized bed and is just steps away from the second full bathroom. The pristine kitchen is cabineted in white with matching appliances, and opens into the airy living room with its own balcony from which to admire the beautiful beach, and allow yourself to be lulled to tranquility by the soothing ebb and flow of the waves. 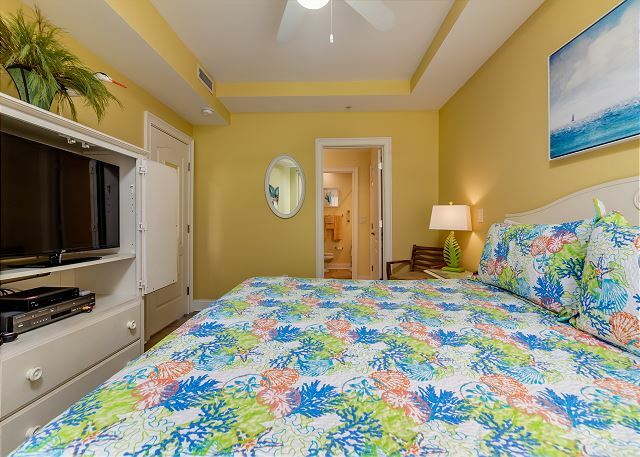 The Beachside Colony was a great place to relax and enjoy the oceanfront view from our condo. The condo was beautiful inside. By the pictures posted online, we thought unit #422 would be average. However, it was much better! Perhaps upgrades had been made. Regardless, it was a very nice unit in a perfect location. Clean and had everything we needed. If we go back, we would be happy to stay in #422 again! A Great Get Away on The Beach!! We an excellent stay on Beach Colony Resort. It was our first time to Tybee, but won't be the last! 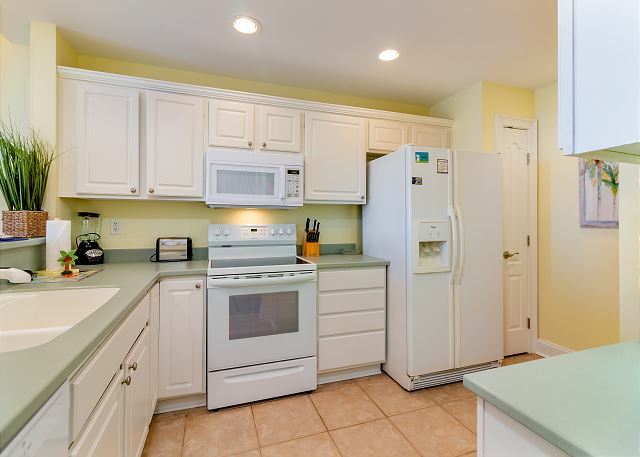 The Condo was very clean and updated even from the pictures on the website. We will return again soon and stay in this condo! We loved the atmosphere here. Very good ,love the place. Spent a week in lovel two bedroom, dog friendly condo. Wide beach, nice pools, friendly staff and low key destination. We had a wonderful view of the beach from our balcony and was able to easily walk out to the beach every day. There was also a nice selection of restrurants for dinner. 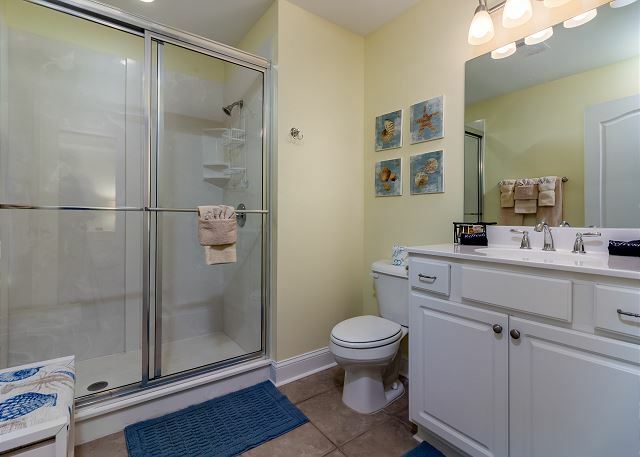 However, the condo was terribly out dated and did not provide basic amenities (coffee, sweetener/cream, beach towels , laundry detergent sufficient to keep bath towels clean, ) that have been provided at other condo rentals. The pools were very small and one out of 3 were usually closed for cleaning during the day. The rental rate was higher than it was worth. I had recently stayed in Fla in a condo on the beach with better amenities , was updated, in a popular area for a much better rate . Great location, nice, clean accommodations and friendly helpful staff! Wonderful experience. Would highly recommend. Excellent stay at 422 Beachside Colony...Condo was clean and fully equipped for cooking and meals...excellent water balcony view...We enjoyed going into Savannah and coming back to lovely pool/bar area and walking down to shoreline for swim!Worth every penny! It was our first visit to Savannah and to Tybee Island, and we will be back! Beachside Colony is where we made our "home" for a week, and it was great! The condo was beautiful, and very well maintained. The only complaint would be the ceiling fan in the bedroom as you first walk in could not go higher than low or you thought the entire light was going to shake off! The front desk said it will be taken care of, so I see no problems in the future with it. We had a fantastic view of the ocean from our balcony and enjoyed the sunrise each morning. We will certainly recommend Beachside Colony to all of our friends! I want to also thank Lori from Property Management as I spoke with her several times and she was just so pleasant with real southern hospitality! We will return! Missing Tybee Time already! Having experienced BSC since its very beginnings many years ago, nothing surprises me & this time was no exception. Overall we were treated exceptionally well, with the staff tasking care of our needs. When the elevator quit on Columbus Day we knew from experience that it wouldn't get fixed till Tues (not the fault of BSC), so we asked to be moved from the 4th to 2nd floor as my bad knee can't do that many steps. Staff agreed with our request & the head house keeper assisted us with the move. Both Condos were nicely furnished, but needed minor maintenance, which is to be expected at the end of the season. My companion had never been to Tybee before & was so pleased, that he wants to come back in the Spring! Did not have a microwave. Microwave shorted out. We reported to front desk and no one came to fix it. When I got home there was a message on my home phone that a repair man was coming. We had a great stay. We love Tybee and have been many times. We have stayed here twice now and plan to stay here in the future. The only issue we had was someone cleaning the room next to us. I was coming into the room and she was cursing and very upset because the people in that unit had gotten sand in the shower and hall. I didn't se the room but I really didn't appreciate the language and don't want my small children to see or hear her behavior and language. It was very unprofessional! That being said we I'll stay here again so long as this does not become a countinuous issue. Not what I'd call a "Resort"
The unit we rented was fine for the purpose which was beachfront ocean view, less crowds on the North end, and spacious enough to feel like home. The furnishings were more than ample and of good enough quality for a rental. The unit was clean, pretty well maintained. I really wasn't expecting a true resort but out of curiousity I asked one of the front desk persons why the whole place was called a resort. I was told it was called that because it has a pool and a restaurant. Ha! No recreational facilities, saunas, spa, fine dining, etc. that one normally finds at a resort were in evidence. One note of caution to others thinking about renting on the North Beach. The beach has been re-nourished by pumping of God knows how much sand from out in the water. Besides adding lots of sand to a beach that has historically suffered serious erosion problems there are zillions of broken shell pieces in the sand. Most pieces are small but are just a sharp and annoying as larger pieces. The shells make it difficult to walk on the beach barefoot and with sandals. If you've never been to Tybee don't get your hopes up about finding lots to do ala Daytona Beach or Myrtle Beach. It's never been that way at least for the last 60 years and never will be. But if you want low key relaxation with some salt water, salt air and good seafood Tybee might just fill your bill. I booked with the help of a real person over the phone. We wanted a heated pool due to our Nov vacation. We would have a toddler with us so telling us about a nice park across the street was helpful. We arrived at the condo and it was a bit shabby on the outside. the condo was fine though. View was great. There is an asphalt tracking problem at beach colony you will have to deal with. Cookware was inferior and old. Beds, dishes, furniture, linens were fine. Centrally located on the Island. Staff was wonderful. Pool was nice and warm but again shabby. after staying here for the 6th year, we are looking forward to next year. Review by steven t b. We have stayed at Beachside several times. This property was well maintained. The staff is always freindly. Clean, convenient and very relaxing and comfortable. Will stay there again! we've been to beachside 4 time, can't wait til next time! My family stayed at the Beachside Colony last week.The accomodations were clean and like being at home. We love the ocean front view. The beds in our unit were very comfortable. We have stayed here two times and love the view. It is just a very short drive to Savannah. despite "******" weather,we had a very enjoyable stay!